As it turns out, the response was swift and bold. The recently announced FIS/Worldpay deal nearly doubles the size of Fiserv’s First Data acquisition, once assumption of debt is included. It also preempts Fiserv’s effort to leapfrog FIS in revenue, even before the P&Ls could be formally merged. The combined effect of these acquisitions dramatically alters the payments landscape in both obvious and subtle ways. Let’s unpack a few of them. Clearly, FIS’ goal is to grow the scale and scope of its offerings. The decision to purchase a merchant acquirer as opposed to an issuer processor – such as TSYS, which many had speculated as a potential counter move for FIS – is probably driven by higher margins and growth prospects in merchant processing. Interestingly, Fiserv and FIS management have each committed to $500 million of revenue synergies from their respective agreements. However, Fiserv expects $900 million of annual cost savings from its integration with First Data, while FIS has signed up for only $400 million in its rollup. Arguably, this is because of less overlap between the FIS and Worldpay offerings, which translates to less platform consolidation and consequently less disruption from client conversions. 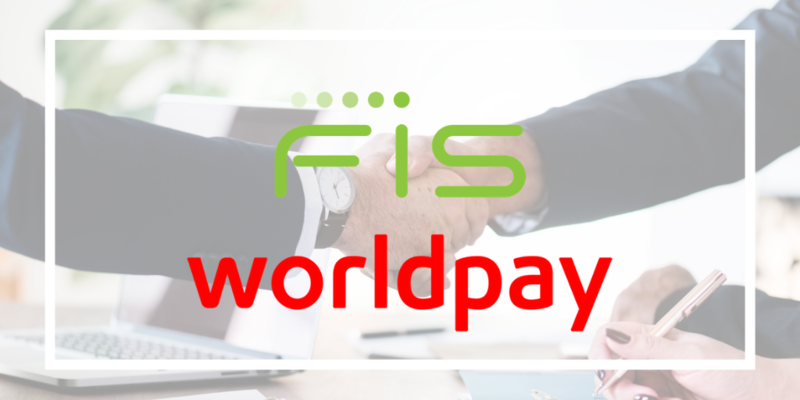 In terms of cross-selling, FIS can now market a viable merchant processing solution to its financial institution clients, and a broad array of banking solutions to Worldpay’s clients. Worldpay also operates a proprietary debit processing business that will need to be rationalized within FIS. Worldpay has a longstanding reseller relationship with First Data related to credit card processing, which was getting more complicated with each of Worldpay’s merchant processing acquisitions. This relationship will now be thrown into greater turmoil. Expect FIS to “encourage” Worldpay’s credit processing clients to migrate to one of FIS’ existing platforms. It is also expected that other First Data resellers will leverage the potential of an involuntary conversion to gain new clients. Such is the nature of the cross-pollination and murky waters of “co-opetition” that characterize the payment processing world. On a macro level, smaller banks and credit unions face a dwindling number of debit and credit card processing options. Relatedly, this announcement also carries added intrigue as the Durbin Amendment mandates that debit cards carry at least two unaffiliated network options. Fiserv is likely to consolidate the STAR and ACCEL debit networks, with FIS likely doing the same with NYCE and Jeanie. The potential outcome, a slowing of debit interchange erosion, could cause merchant consternation, but may offer a welcome breather to financial institutions facing revenue pressures. Although some sort of move by FIS was expected following Fiserv’s January bombshell, the path forward for remaining industry players is less certain. TSYS, the most prominent issuer credit card processor in need of a partner, has been diversifying its product suite for some time, but its options for a tie-up have now narrowed. One potential target could be Global Payments, if TSYS chooses to expand its merchant services offering. Visa and MasterCard are also natural acquirers, although any such move would face near-certain antitrust scrutiny, both in the United States and abroad. The Bottom Line: One thing is certain - an already dynamic payments space has entered a period of even greater flux. Regarding vendor contract management, banks and credit unions should closely monitor their processing agreements to understand their rights and obligations in this situation, and be even more wary than usual of unsolicited overtures for extensions or amendments. There is heightened opportunity (and risk) in the air as these new entities attempt to secure long-term client commitments in the looming shadow of potential conversions and service disruptions.